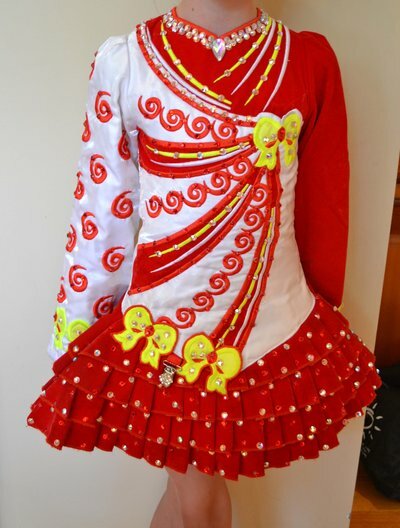 Beautiful red & white Taylor’s dress suitable for 8-12 year-old, Assymetrical design with fluorescent yellow bows and red swirls. 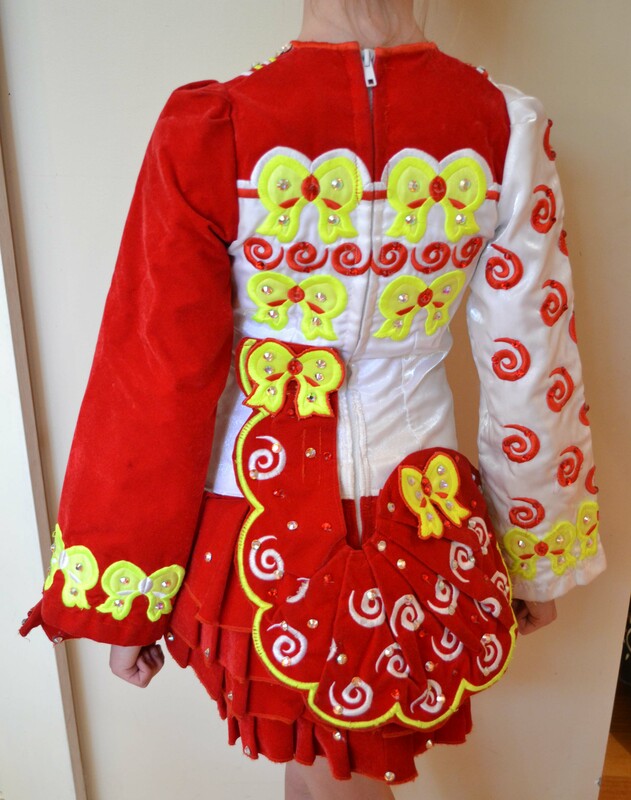 Adorned with hundreds of AB & red Swarovski crystals. 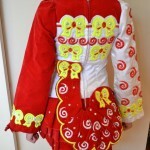 Includes number clip, red bloomers & white headpiece. Asking Price: $AUD850. Shipping costs are not included in the asking price. Sale is final.